Improvement is an ongoing process. There is always a new writing style to adapt to, the latest technology to tap into, the newest authoring software to learn, and a different way of strategizing to master. This month, we will help you advance on this learning journey with our top eLearning tips. We promise every tip will make you more efficient, productive, perceptive, and insightful as an eLearning designer. If you don’t have a plan to go by, you might end up creating a course that is of no use to the learners. Or worse, your amazingly informative and beautiful looking course might fail to engage learners because they think it's a waste of time. You need a strategy where you lay out the training goals, delineate the instructional approach, chalk out the activities that support the learning objectives, and map the delivery route. 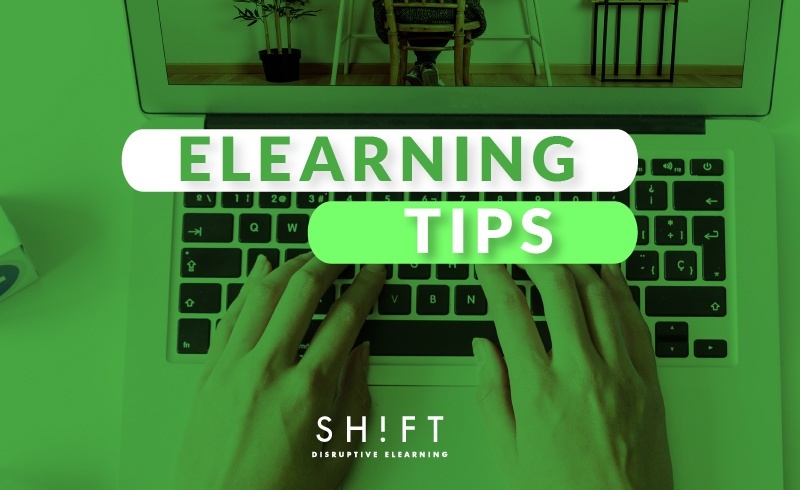 A documented eLearning strategy is not only a roadmap but also helps you spot information gaps, design flaws, structural discrepancies, and implementation loopholes that might otherwise weaken your course. Learning Objectives: What do your learners need to know and do? Company goals: What do you want to change and achieve through eLearning? Content: Where are you going to get content from? How are you going to collect content? Team Members: Who will be the key stakeholders? Who will be the subject matter experts? Do you need designers and programmers who are experienced in mobile learning? Marketing Plan: How will you spread the word about your new courses? What will be the hook or the USP? Tools and delivery platforms: How will learning be delivered? How will the course be created? Does your development staff have the skills to use these tools? Evaluation parameters: How will you measure results? Just as marketers create "buyer personas" to produce more targeted content, so should you create "learner profiles" to get to know your audience better. You create courses FOR your learners. So it goes without saying that they should cater their motivations, needs, and expectations. Creating learner profiles will help you deliver a targeted message that resonates with your learners, inspires them, and fulfills the learning goals most effectively. What motivates your learners to seek knowledge and actually sit through a course? What information do your learners need, or to be more specific, what workplace problems should your course solve for your learners? What will be the typical learning path? What kind of content would your learners prefer to consume—case studies, demo videos, stories, checklists, or any other? How do learning preferences vary across generations? These pieces of information will help you glean deep insights into your learners’ needs and learning preferences. With these insights, create 3-4 profiles that will guide you as think up the instructional strategy, design the activities, figure out the promotional strategy, and finalize the delivery platforms. Look around your content repository before you rush to create a new course. You may already have what you need, hidden among the myriad of modules, job aids, presentations, and video tutorials you have created over the years. You just need to tweak a little here and scrape a little there to create the learning material at a fraction of the effort needed to build a course from scratch. If you don’t have a content inventory yet, build one. Make sure that the inventory makes it easy for you to identify content according to their various attributes and also find out who owns what content. So use keywords wisely. Additionally, the inventory should also contain information that makes it easy for you to spot content gaps and the information updates that are due. So you might want to consider capturing data in a way that shows the topics that a course covers. Your success as an eLearning professional depends not only on teaching learners new skills. You also have to make sure (and double-check too) that your eLearning program is in line with your business goals. This means that every course created should directly contribute and respond to one or more of a company’s overarching business goals, needs, and wants. After all, the top brass needs to be able to see the “value” in commissioning this course. You have to make your course advocate for itself. Why is this course being created? What workplace challenge or knowledge/skill gap will this course address? What positive change will this course bring about? Does the positive change that the course will achieve tie in with at least one organizational goal? The answers to the above questions will determine the relevance of the course from the business perspective. It is a mistake to think that as long as you keep churning out eLearning courses, learners will come to you in droves. In a world teeming with content, learners have plenty of choices; they need a GOOD reason to take your course. In this respect, your learners are no different than “customers” shopping for products that are worth their money. So, you have to “sell” your course to the learners just like a marketer sells a beverage or an automobile to a customer. Document, track, and analyze: Information is power. It gives you insights. Record audience feedback, track metrics, and analyze the results, so you know what works for your course and what does not. You spent hours, days, and weeks creating the perfect eLearning course. Now you have to make sure that your audience gets to know about it and is inspired to take it. Create a marketing plan to promote your offerings. "Promoting your course is just as important as creating it". Make your courses visible and easily accessible. Often, employees choose other courses because they are not even aware that you have created a better instructional module. Build and nurture a learning culture in the organization. An innate love of learning will naturally drive employees to seek out knowledge resources. Build a learning brand. This is one of the most sustainable marketing tactics around. When you let your brand do the talking for you, you save efforts on creating marketing messages and thinking up other ways to convince. Create an outstanding course, always. Your learning offerings should turn your audience into willing brand ambassadors. Human beings are visual creatures; we learn more from an image than from a chunk of text. Besides, visuals help people make sense out of the content and direct attention, increasing the possibilities that the learners will remember. As an eLearning developer whose goal is to create memorable learning, you MUST NOT pass up this medium when you design your courses. With countless distractions pulling your learners in all directions, smart and attractive visuals keep them hooked to your course and help them retain the learning. We've talked about the importance of putting the learner at the CENTER of the course design (Tip #2). When you consciously create from a place of connection, you immediately strike a rapport with your audience, and they, in turn, feel drawn to your message. But it is not enough that the content you include in your course is relevant for your learners. The instructional strategy should also be formulated keeping the learners in mind. Build on the information contained in the learner profiles to map the strategy. Learner profiles help you understand your audience so that you can customize your the design, the content, the graphics, and shape your course for them. Prioritize and chunk content, so your course is fluff-free and full of relevance. Make sure the content answers the What’s-in-it-for-me information. Present content in an engaging manner. Think out-of-the-box. Speak in a language that feels familiar to your audience. Familiarity is not only comforting but also builds trust about you among your audience. 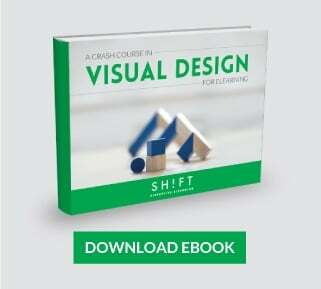 Help learners make a seamless transition from the desk to the job. Create a smooth learning experience by providing information like how learners can apply the knowledge in the workplace. You should take your own course. Now, after spending days and weeks fine-tuning the storyboard, playing around with images, exploring sounds, and testing the navigation, you have probably had enough of your course. And then you think that with the QA team around, why do YOU need to take your own course? After all, you are not the learner. Wrong! You should take your own course because the QA team may not be able to comprehend the purpose of your course. They have been trained to look for technical glitches, errors, navigational flaws, and graphical discrepancies. They are usually not able to evaluate a course on the basis of, say, how faithfully it has adhered to the learning goals or if a specific activity will appeal to the target audience. Only YOU, the creator, can assess if your eLearning course has achieved the goals it had set out to achieve. So step into the shoes of your audience, and take your course as if you are one of them. Feedback is crucial to any creative project that you design to be consumed by an audience. You want to ensure that your creation gets approval from the decision makers and your team, and that it matches user expectations too. So it is critical that you gather as much feedback as possible from the users and stakeholders during the various design and development stages. Thus you not only ensure that your course is in sync with everyone's expectations but also prevent costly rework and revisions. A primary goal of the prototype is to provide a proof-of-concept design of how the course will look and work like. It is built to test the instructional efficacy and/or usability of concepts or processes like interactive activities and the navigational framework. Create a rough storyboard on paper before you develop a prototype. Aim to create a prototype for every stage of course development. Gather feedback from both learners and Subject Matter Experts on as many different aspects of the course as you can. Strive to replicate in the prototype the experience that you intend to provide through the final product. This means include activities that will let learners interact with the prototype. Consider rapid prototyping. This is a cost-efficient measure, but still allows you to gather meaningful and constructive feedback from the users. Tip #11: Responsive, Responsive, Responsive! Gone are those days when you could make learners sit at the desk and sit through a course. Nowadays, learners demand that you take your courses to where they are. They want to access your courses wherever they are, whatever device they are on, and whenever it is convenient for them to do so. It is imperative that you design your courses keeping smartphones, tablets, and phablets in mind. It’s time you enter responsive design. Responsive eLearning design is not a trend that is about to fade away soon. In fact, adopting it in your learning strategy is no longer an option. You need to adopt it yesterday. Think mobile first. If the elements on the slide—text, graphics, icons, charts, etc—work seamlessly on a smartphone, you can be certain that they will show up clear and make sense on any other screen with larger dimensions. Chop, chop, and chop to pare down to the basics. Make sure that you strip down functionality and content to the bare minimum. When your content has to work on screens of different dimensions, you have to eliminate all fluff. Stick to the learning objectives. This follows from the above rule. When you keep the learning objectives in mind, your course is focused. Design a different ID strategy for mobile. Designing eLearning for any device is an entirely different ballgame. Don’t try to force-fit an ID strategy for a classroom training, or just PC-eLearning into a responsive program. Make sure that you create a different strategy that considers the needs of the mobile learner, like being able to post questions, look for other resources, or refer to job aids. Instructional designing is teamwork. The effectiveness of your eLearning courses depends on how effectively you collaborate with your team. Your team also includes the SMEs. Effective collaboration and communication between the ID person and an SME ensures that you can get the latter to open up to you (without rambling on) and share his/her vast knowledge (without drowning you in a sea of irrelevant information) that, in turn, enriches the content of your course. Rule #1: SMEs are busy people; respect their time. You too have deadlines to stick to; value your time as well. It makes sense to schedule a single SME interview to gather information on multiple topics, and then make the most of this window of opportunity. Rule #2: Do your homework before the meeting. Ensure that you know everything you can on the subject. This ensures you are not caught off-guard when the SME throws around jargons and concepts. Also, learn about your SME, as you would learn about your client. Find out about his/her areas of specialization, training, and interest. 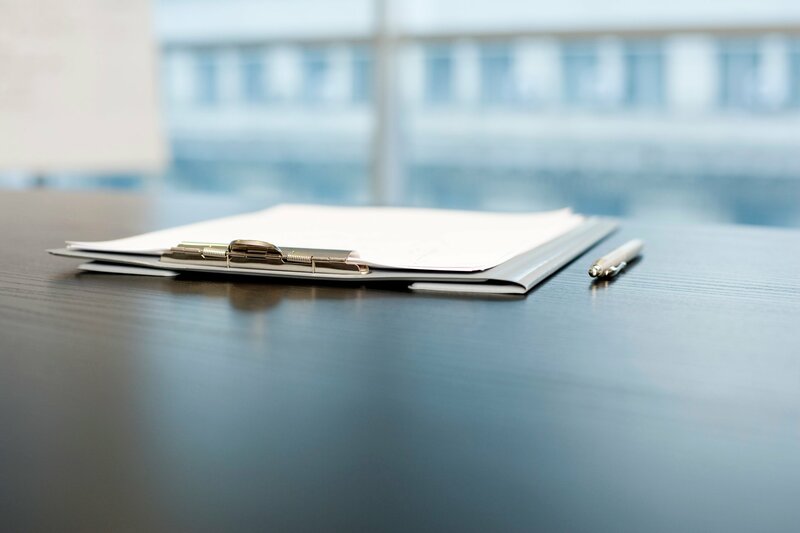 Rule #3: Create a thorough meeting plan. Estimate the approximate duration of the meeting and inform the SME in advance. Also plan the order in which you will broach the topics or initiate discussions. Make sure that you break the ice and engage the SME right away by starting off on the topics he/she is enthusiastic about. We are instructional designers. Many of us are not trained in graphic design, and probably many of us don’t have the artistic talent that graphic designers possess. But we still should choose create graphics that are attractive, instructionally-sound, and match the look-and-feel of the course... and most importantly, that resonate with our target audience. So, it helps if you learn and follow some basic design principles. You don’t have to train to be a Photoshop pro; just stocking up on the design fundamentals and start paying attention to things like color theory, white space will help you raise the visual appeal of your courses by several notches. Start with this guide to get your feet wet on visual design principles. 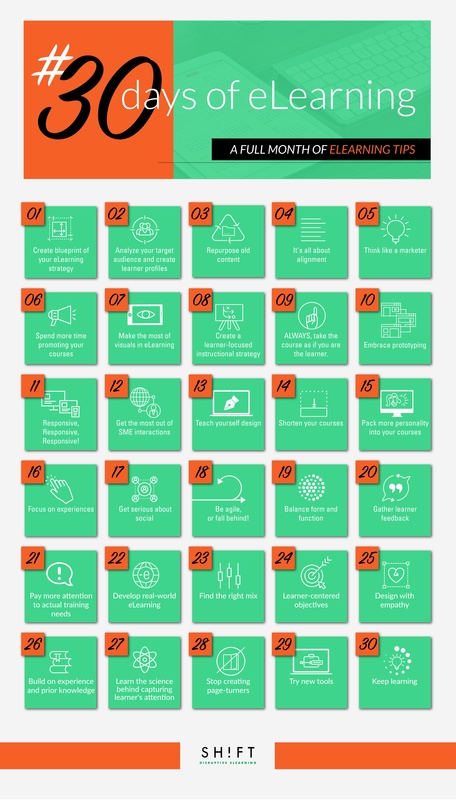 Read this short but very comprehensive article (with infographic) to understand These 10 Principles of Good Design. Your learners expect you to create courses that are as compelling as watching a YouTube video and packs in as much information within a short space of time. And they also demand that they are able to take your courses on the go just like they check the latest hits on YouTube on the subway or at the coffee shop. According to a report by Software Advice, The LMS Features that Drive Employee Engagement IndustryView, more the 50% of the 385 employees who took part in a survey indicated that they would use their company’s learning tools more if the courses are SHORTER. According to them, longer courses are not only more challenging to digest and retain but taking them also gets in the way of their daily work. As instructional designers, you have to start thinking small. Follow these microlearning rules. One of the greatest criticisms you hear of people taking your eLearning courses is that it lacks personality. In other words: IT'S BLAND AND BORING. When we think about the most powerful brands, most of then have a common denominator: they use human personality traits in every message they send out to the world. People relate more to characters than to impersonal brands, or messages that seem to come from faceless entities. Your eLearning audience is no different. You have to infuse your courses with personality—real, distinct, and throbbing—to connect with your audience and elicit positive responses from them. Figure out how your audience “feels” about the subject you are about to teach. Then address that emotion through your course—by the tone you use or the scenarios you create—to resonate with the learners. For instance, if your audience fears the topic you are about to teach, create stories that will drive away the negative feelings and instill confidence that they will be able to master the subject. Talk to your learners to find out about their workplace frustrations, their professional aspirations, and the success stories that inspire them. Feature a main character and tell stories that are designed to elicit particular responses and change believes. This personal touch will endear you to your audience and have them hanging on to your every word. Find out the context of your course, like where, when, and how your audience will consume the information. Then create a personality that is relevant to the context. For instance, if your audience will take the course on the go, then infuse a no-fuss personality into the course where you get to the content without beating around the bush. Use animations and video: Words get boring quickly. The perfect way to spice up bland content is to include a video. Lose the Robotic Corporate Speak. Write for Humans. “Learner experience” is right now the buzzword in ID circles. HR and L&D managers around the world agree that today the corporate learner cannot be wooed by snazzy graphics and glitzy animations. They cannot be compelled to sit through an eLearning course that does not resonate with them. The need of the hour is "experiential learning.” However, this need cannot be fulfilled by just upgrading the learning platforms to make them support more interactive (read: snazzier and jazzier) courses. 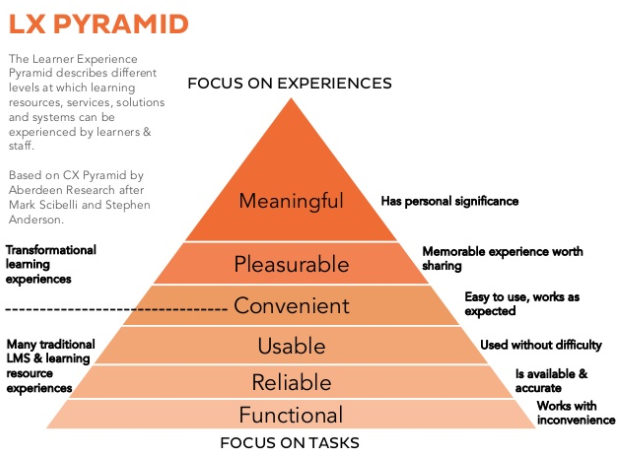 Instructional designers have to concentrate on creating an integrated “experience” that stirs emotions, arouses inspiration, and remains etched in the mind. According to multiple surveys, learners, when asked to describe the eLearning courses that resonated with them the most, used adjectives like experiential and engaging. They also cited a balance between passive learning and application as a key characteristic of the courses they found appealing. In short, you have to create a memorable learning journey that learners can be a part of instead of a course where your audience feels left out because they are made to stand on the sidelines. Companies have quickly taken to the social learning culture. Given that their employees are increasingly going social and gleaning information from social networking sites, companies have been compelled to invest in social media and social collaboration tools and include these in their training plans. According to the findings of a survey of L&D professionals published by the Brandon Hall Group in 2016, investing in social/collaborative tools and technology features on the top of their list of learning tech priorities. Clearly, L&D professionals believe that the “social” will be critical for engaging learners. Capitalize on your existing resources. Explore the resources you already have. These could be slides or case studies that you can repurpose as blog posts that can initiate conversations or LMS features that will let learners communicate among themselves. Leverage the tools your audience is already familiar with. For instance, if your employees use Twitter, you can ask them to follow industry thought leaders. You can create a forum or a Facebook page and encourage social collaboration by letting learners discuss specific topics on these platforms. You can break the ice by initiating conversations yourself. Tip #18: Be Agile, or Fall Behind! Mother Nature proves that being agile helps a creature survive and thrive! Communicating to ensure everyone is on the same page. During these meetings, record and track changes and new developments, Inform and/or share the accomplishments of the previous day, go over what’s on the platter right now, and plan for the next day. Being agile helps you manage the daily workflow, so the team functions efficiently without any member being overburdened. Communicating to find solutions. Encourage team members to share with others the problems they face and discuss how these can be resolved. Communicating to evaluate each stage of a course in development. Communicate with the learners frequently to gather their feedback. Communicating to foster a “team spirit.” Frequent meetings and communication as a team fosters team spirit, encourages collaboration, builds harmonious co-worker relationships, and enhances accountability. Being agile helps you prevent scattering or wasting efforts, so you can optimize existing resources and enhance productivity. Empower your eLearning team by supporting them to become agile by leveraging technology. Collaboration and project management tools like JIRA, Taiga, and Freedcamp (the last two are free-to-use) let you be agile by helping you and your team to plan projects, record and track issues and open tickets, and schedule and manage tasks and deliverables. When you become agile, you and your team can concentrate on doing what you do best. As an eLearning designer, you don’t want to be known as someone who creates beautiful courses that don’t deliver substance. In an all-out effort to create courses that look stunning, it is easy to forget that you also have to TEACH your audience. You have to care of both form and function— of how the design looks like and what the design attempts to achieve. Ultimately, “pretty” isn’t a bad thing, but it should never be a priority over substance. If you must choose between adding relevant information and another cool design element, that design is going to have to take a hike. Learner feedback is critical for the continuous improvement of your programs. You want to be able to peek into the learners’ minds and find out what they think about your programs—what do they expect, what did they like or not like in a particular course, and what challenges/frustrations do they face while taking your courses. These insights will help you tweak your existing courses and design new ones that address learner needs more accurately. Gather information about learner behavior in your LMS. Ask learners to rate the quality of the content when they finish each module. Carry out surveys among learners (you can send out these surveys via email). Create questionnaires that learners can easily fill out online. Consider framing questions to find out if you need to improve specific aspects of the course. For instance, you can create questions centered around the use of graphics, the relevance of the scenarios, and effectiveness of the charts or video tutorials that you may have included in the course. Encourage users to leave feedback or take part in surveys with incentives like discounts on future courses. A training solution is not always required to improve employee productivity. And yes, you read this right. It is not always a knowledge gap that hampers productivity at the workplace. Infrastructural limitations, employee apathy, or simply being on the wrong team are equally strong reasons why an employee is not able to perform to his/her true potential. So, don’t just rush to develop an eLearning course because you THINK it is best. Remember: an instructional product should solve a business problem. Your goal is not to dump on your learners information that they have no use for; you have to teach them skills or fill them up with knowledge that will help them perform their professional roles satisfactorily. Identify the business problem first. Speak to the top brass to learn about the organizational goals. This knowledge will help you figure out what the learners are expected to know and be able to do. Carry out a thorough audience needs analysis to find out what your learners know already and what they need to learn, so they are able to perform at the workplace. Maintain your focus on the business problem throughout the next phases. Educate customers and team members alike on the costs of training. This knowledge will help them realize why it is imperative that instructional products focus on building critical skills as quickly as possible, and NOT on presenting information that is mere “fluff.” In a way, this knowledge will help stakeholders maintain focus on solving a business problem, and not just using up the training budget. Be open to the idea that the solution to a business problem may not be a training product. It might be something entirely different, like a machine upgrade or realignment of job roles. Your learners are busy people. They have professional goals to reach and personal duties to carry out, all within a woefully inadequate time period. They have no time to waste reading through irrelevant information. They lose motivation to sit through a course if the realize they cannot use the information in it in their real lives. Your learners are just not interested in gulping in a lot of nice-to-know information that you thrust down their throats. Adult corporate learners seek knowledge that will help them troubleshoot, resolve problems, and get over challenges on the job. You have the responsibility to design learning that enables a seamless desk-to-job transition of learning. Identify course content that has relevance to the job roles of your learners. Carry out a thorough audience analysis by encouraging your learners to take part in brainstorming sessions. Encourage them to share their experiences at work and scout for case studies to gather content for your course. Align content with real-life job responsibilities to establish relevance. To keep learners hooked to your course, you have to ensure that they “see” how relevant the content is to their job realities. Incorporate case studies, scenarios, and video testimonials to help learners realize how they can apply the knowledge they have gleaned from your course to solve their workplace problems. Incorporate practice activities to ease desk-to-job transition. Design practice activities that simulate the workplace realities of the learners, so they can test-drive their knowledge, hone their skills, and understand the implications of their actions and decisions within the safe and regulated environment of your course. As an instructional designer, you have to be innovative and creative when it comes to creating a blended learning strategy. The learning program you thus create can be a mix of strategies—scheduled or unscheduled modules and structured or unstructured. For instance, you can send out nuggets of information via emails or roll out a Self-paced eLearning courses before learners attend one-on-one workshops (paced learning) and then, at the end of the sessions, hand out job-aids, put up how-to videos on the intranet, or give the audience access to online discussion or support forums (unstructured learning) to encourage them to continue learning. Whatever be the learning delivery method you employ, ensure that there is a clear link between the different modalities, so learners are able to switch between the methods effortlessly. Learning objectives help you focus, prioritize, and design a course that achieves the desired training goals. But most often the objectives you frame fail to inspire your audience. Learners often fail to extract meaning and relevance from the objectives you frame, so they are left feeling confused and bored, and eventually, lose motivation to take your course. That’s because when instructional designers frame learning objectives, most strive only to meet the Bloom’s Taxonomy or Mager’s theorems. But have you thought what do your learners know about these? And most importantly, why would they care? They just want to know if your eLearning course will teach skills that will make them more productive at work. In short, they want to figure out what’s in it for me from the objectives you state. In a world saturated with information, the only way to catch your learners’ attention and make them stick around is by tugging at their heartstrings. You have to reach out and connect with your audience at a deep, emotional level. And for this, you need EMPATHY. Your goal is to create engaged, passionate, and willing learners and NOT glitzy learning products that bring out the gasps and gushes without making a dent in the learners’ minds. Your goal is to create learning experiences that stir learners to ACTION. Empathy is the secret ingredient to creating such powerful learning. Go beyond the usual pieces of statistics like age, gender, and experience, and instead concentrate on the emotions of your learners and their unique life situations. Learn what frustrates them at work, the professional dreams they aspire to fulfill, where they stand right now on their career paths, and what inspires them to alter behavioral and thought patterns. 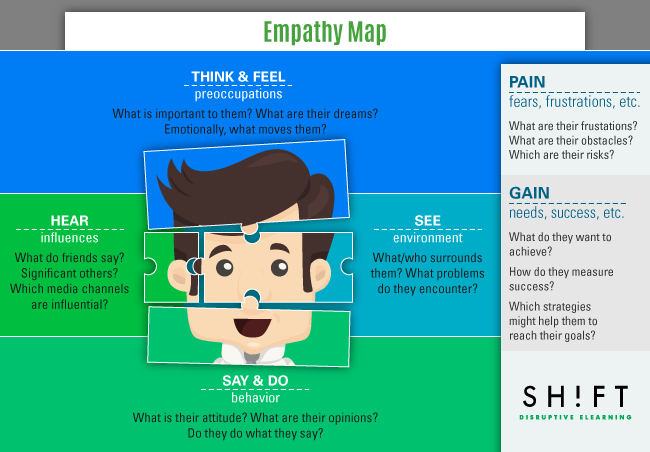 Use this Empathy Map to frame your learner profile. Building on prior knowledge and experience aids the learning process by helping learners spot patterns and similarities, understand differences and create reference points. Truth is content unrelated with a learner's prior knowledge and experiences will be quickly forgotten. So instead of focusing entirely on what you want to teach, address first what learners already know. Then build on this knowledge by letting learners know what they can do with this information. Make sure the objectives you frame clearly tell them where they will reach after they have taken the course. For instance, mention that you want to build on their prior knowledge of operating a machine and teach them how to troubleshoot. Then tell them how the new knowledge will help them at their jobs and with their career prospects. Learners' prior knowledge and experiences, and their expectation from that, will shape their level of engagement. Evaluate a learner’s prior knowledge and experience before start designing your next eLearning course. Effective learning starts with paying attention. We remember what we focus on, and depending on how attentive we were; we might remember certain pieces of information for weeks, months, and years after learning them. Throw questions and what-if scenarios to make your audience think. This ploy will make them engage with the content and discover meaning and relevance themselves. Present information in short bursts with ample breathing space in between. This lets learners mull over the information, process it, figure out how it is relevant to them, and store it away in the long-term memory. Establish clear links between what you are teaching now and what learners already know from prior training or experience. These references not only aid comprehension but also whet learner interest. Make content scannable. Your busy learners don’t have the time or inclination to read through large chunks of text to determine relevance. They will just skim over the content to get the gist. Make sure your emphasize the most relevant pieces of content in the first and last sentences of the paragraphs, use keywords and catch phrases and make them bold, and use lists, headings, and sub-headings to convey the gist. Use visual and auditory cues to grab learner attention and direct it to the content you want them to focus on. For instance, bullets, underlined text, and arrows help direct attention to specific pieces of content. Minimize distractions by removing audio-visual clutter. An uncluttered look also helps learners focus. A page turner course cannot keep learners engaged. When learners cannot engage with your course, the learning experience goes damp. You cannot keep your course from becoming a page turner just by creating screens with a plethora of things to click on—pop-ups that reveal a single piece of statistic or roll-over texts that contain some other nugget of information. Crowding your screens with multiple elements to click to reveal content merely means your learner has to now click on five elements instead of one before he can move to the next page. Such a course is still a page turner. This not only inhibits engagement but also breeds boredom and frustration in learners. Finding a tool that makes your job as an instructional designer even a little easier is kind of like finding fairy dust to sprinkle over your projects. Bibbity bobbity done! That’s how it feels, so why is it so hard to remember to save these tools for future use? I cannot count how many times I have found a great app only to draw a blank as to what was it called or how to found it when I need it again. We also invite you to try out the SHIFT New Generation tool. We have rolled out a new version, and we are excited to give you an exclusive access pass. Request a live demo here. You cannot survive in a dynamic and fiercely competitive marketplace if you cannot evolve with the times and changing learner needs. Innovation is the key to thriving. You have to keep learning. You have to be on top of trends and at the forefront of the ideological, design, and technological developments that are shaping the eLearning industry. Network, both virtually and offline, with L&D professionals to keep up with industry trends. Subscribe to trade magazines and browse the internet to learn about what’s taking place in the L&D world. Interact with graphic designers, writers and editors, musicians, and programmers even if they are not into L&D to learn how you can use media and technology to make your courses readable, aesthetically pleasing, instructionally sound, and technically viable. Invest in online courses, attend seminars, and take part in workshops to up your game. Get up from the desk and if need be, get out of the office and try to mingle with your target audience. Observe them at work to learn more about their situation; this is one of the most effective ways to carry out audience analysis. Don’t let your creative juices dry out. Read this post to find out how you can keep your creative mojo flowing, and this post on tips to help you find design inspiration. We were bombarded with requests to make available a downloadable version of the #30eLearningTips. Obviously, you want to have all these neatly archived somewhere on your computer or phone, so you can access them easily. So here’s your link to 30 eLearning Tips—Downloadable Version.